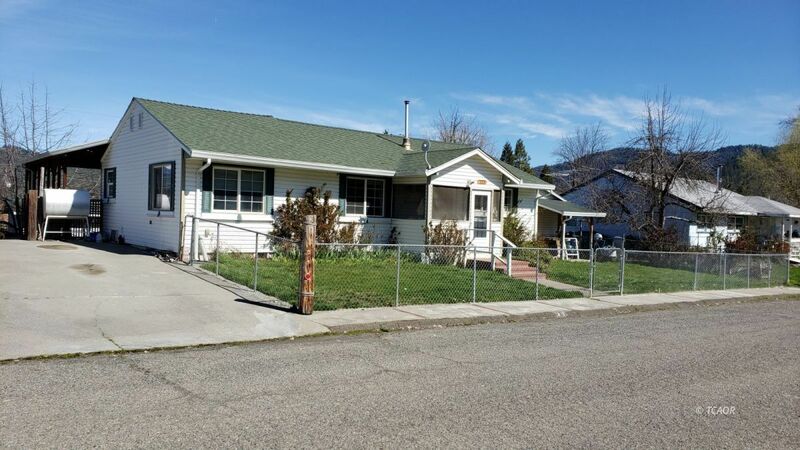 Remodeled home in Lewiston with extra bathroom and extra room. Covered porch along the rear and patio with 220 hookup for hottub. Has master suite with bath and lots of space. Large living room with kerosene/diesel fireview stove to keep it toasty. Extra large fourth bedroom a few steps down that has a bathroom with outdoor access if you have been working in the yard. Two his and her storage sheds in the back yard with another workshop on the side. This affordable home has room for a big or growning family and wont last long.